Can I rinse the filter with soap to use it again? No, the filter cannot be rinsed in anything but water. Washing your filter will allow the soap to seep into the pores and this cannot be removed, making the filter unusable and unsafe for your pet. Do I need to use a filter with the fountain? The filter is not required for normal operation of the fountain, but it does significantly improve the overall cleanliness and taste of the water for your pets. The filter removes bad tastes and odours to improve the taste of the water and catches hair and small particles to keep the water cleaner. How do I clean the fountain? Empty the dish of water. Remove the motor from the fountain. Lift the impeller (looks like a small white propeller) out of the motor. There may be a faceplate cover over the impeller than can be pulled up with a coin or fingernail. Wash the impeller in soapy water, removing hair and other gunk that has collected around it. Pour soapy water inside the motor cavity and clean with a small round brush like the one found in the Fountain Cleaning Kit. A cotton swab or small toothbrush might work too, or anything that can reach all the way inside of the cavity. Rinse all parts well before returning to the fountain. Re-assemble fountain, replacing the filter and pre-filter as needed. Place the fountain where desired. Fill with water. Re-plug in fountain. How do I get my pets to drink from the fountain? Pets, especially cats, can be a little timid with the fountains at first. This is a new object added to their environment, so give your pet enough time to get used to the fountain at their own pace. This time frame will usually only take a few days, and it is very rare that a pet will refuse to use the product entirely. If your pet prefers to drink running water from the faucet or shower, your pet will probably get used to the fountain very quickly. Here are a few tips to help encourage your pet to use the fountain. Set up the fountain without plugging it in. This way your pet can get used to drinking from the fountain without the noise and splash of running water. Plug in the fountain for short periods of time, until your pets begin to feel comfortable. Try setting it to a lower flow setting. Once your pet is somewhat used to the fountain, remove other water sources. If your pet still isn't interested in the fountain, make it more appealing with some flavoring. Remove the filter from the fountain, then add tuna juice or bouillon to the water until your pet is used to the new product. After that, you can clean the fountain, replace the filter, and refill the fountain with regular water. How do the filters work? The charcoal filter removes bad tastes and odours from the water and catches large particles and debris from re-circulating back into the water. The filters do not purify the water. Change them every 2-4 weeks, depending on how many pets use the fountain, to keep the fountain water fresh and clean. How often should I change the filter? The charcoal filter should be changed every 2 to 4 weeks, depending on the number of pets using the fountain. If you have more pets or notice more debris, a slimy feel, or decreased water flow in your fountain, you should clean it more often. 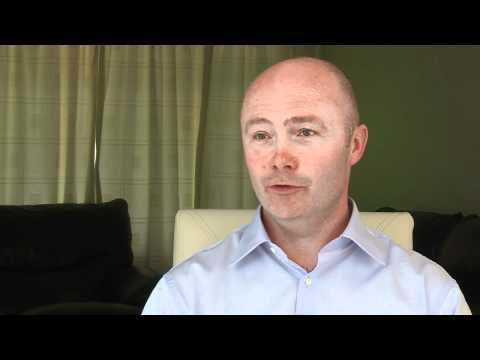 Pre-filters can usually be changed less frequently. Why do I need to replace the filters? The charcoal filter removes bad tastes and odors from the water and catches large particles and debris from re-circulating back into the water. Over time, debris gets stuck in the outer fabric of the filter, making it more difficult for the water to pass through it. The inner part of the filter contains granulated carbon with hundreds or thousands of microscopic holes, which bind to impurities in the water that cause bad tastes and smells. This binding prevents impurities them from returning to the water. Eventually, the holes become clogged and can no longer remove impurities. The adaptor is warm to the touch. Unplug the fountain and plug it into a surge protector. If you have multiple pets or dogs use the fountain, the slimy feeling may be caused by your pet's saliva. Change the water and clean your fountain more frequently to prevent this. Make sure the fountain parts are rinsed thoroughly after cleaning the fountain. Soap residue may cause the sliminess. To reduce mold and mildew, soak the fountain in a 90% water, 10% bleach solution for 15 minutes. Be sure to rinse every part thoroughly before re-assembling the fountain. If there is a white chalky substance in the fountain, your fountain may have a mineral deposit build-up from hard water. To remove these deposits, clean the fountain parts with a 90% water, 10% vinegar solution. Rinse all parts thoroughly afterwards. Use filtered or purified water instead of hard tap water to prevent this. Sometimes water around the fountain is caused by pets drinking. Some pets are prone to spilling. Watch your pet when he drinks to see if this is the cause. If it is, you can purchase a fountain mat or other water-resistant mat to place under the fountain. Try to find the leak. Look for visible cracks in the bowl. If there are no visible cracks in the bowl, place the fountain on a towel to see where the leak is. If you find a leak, you can attempt to patch it or call Customer Care about replacing the fountain. If the cord is wet above the water line, loosen the cord and allow some slack so water won't travel up the cord. If you have the Original fountain, you may need to remove the pump to properly clean around it. The fountain is too loud. A low humming noise is normal, but it should not be loud. Some fountains hum a little louder than others. If the water is making too much noise, add water to the fill line and reduce the flow using the flow control knob. If the motor is humming loudly, make sure the water level is above the minimum line. When turning on the fountain or replacing the filter, the motor may make more noise than usual. It should return to normal levels within a few minutes. Unplug the fountain for 15 seconds. If the noise stops when plugged back in, it's possible that some debris is caught on the impeller. Remove the pump and clean the impeller. Try rubbing a small amount of vegetable oil onto the magnetic pin with a cotton bud to lubricate the impeller. Clean your fountain completely. See below for full cleaning steps. Hard water buildup can sometimes cause more noise. Try adding plain white vinegar inside the pump's cavity (without the impeller) and allow it to soak for 10-15 minutes. Allow the impeller to soak in a separate bowl of vinegar for the same duration of time. Clean all fountain parts in soap and water before reassembling the fountain. The Big Dog and Original fountains may be noisier due to a loose impeller pin. Gently but firmly press down on this pin to re-seat it into its proper place in the motor. If the pin has completely dislodged itself from the motor, it cannot be placed back into the motor cavity properly and the motor will have to be replaced. Call Customer Care for information on replacing your motor. Unplug and re-plug the fountain into the same outlet. Check the cord. If it has any frayed or exposed wires, your pet may have been chewing on the cord. To prevent this, you can purchase a cord cover from most hardware stores. You could also try securing the cord to the floor with duct tape. Clean the pump and motor. Lack of regular cleaning may result in the pump becoming clogged with pet hair and food debris. The pump must be cleaned every 2-4 weeks to ensure proper function. Lift the impeller (which looks like a small white propeller) out of the motor. There may be a faceplate cover over the impeller than can be pulled up with a coin or fingernail. Wash the impeller in soapy water, removing hair and other gunk that has collected around it. Pour soapy water inside the motor cavity and clean with a small round brush like the one found in the Fountain Cleaning Kit. A small toothbrush might work too, or anything that can reach all the way inside the cavity. Water quality can also affect the pump and how well it runs. Hard water will cause calcium deposits to build up in the pump's cavity, blocking the impeller from spinning. If there is evidence of hard water build-up inside the pump, try adding plain white vinegar inside the pump's cavity (without the impeller) and allow it to soak for 10-15 minutes. Allow the impeller to soak in a separate bowl of vinegar for the same duration of time. Clean all fountain parts in soap and water before reassembling the fountain. Make sure the cord does not have any frayed or exposed wires due to pets possibly chewing the cord. If your pet is prone to chewing, visit your local hardware store and purchase a conduit cover to protect the cord. Pumps last for several years with proper cleaning. If the pump has been in regular use for several years, it may be old and need to be replaced. The fountain is to be used indoors only. The fountain parts and pump are not UL approved for outdoor use. Using the fountain outside can damage the pump. If you have used your fountain outside, the pump may need to be replaced. If the pump was exposed to low water levels for a prolonged period of time, the pump's motor may have burned out and the pump may need to be replaced. To prevent this, always keep your fountain water above the fill line. The motor is not working. Unplug the fountain then plug it back in. If the motor is humming, try cleaning the motor, making sure nothing is stuck around the impeller. You can also change the foam filter. If the motor is not humming, try replacing the pump. Never let the water in the bowl get below the minimum fill level. This can cause the pump to overheat and stop functioning. When refilling the bowl, make sure to add water before turning the fountain on. The water’s not flowing as much as it used to. Disassemble and clean the pump. Clean the fountain, especially around the motor. Fill the fountain with water up to the max fill line. Check the setting on the flow control knob to make sure it is set to max. With a 360 Plastic or Stainless Steel fountain, the more spouts on the top, the weaker the water flow for each spout. Try switching to a top with one fewer spout opening. There’s black dirt in the bowl. This black stuff is loose charcoal from the filter and is completely harmless for your pet to drink. The charcoal filter is made of organic coconut shells. Rinse the filter in cold water before placing it in the fountain to prevent this. Some filters may shed more charcoal than others due to differing consistency of charcoal in each batch of filters, so don't be surprised if some filters leave behind more charcoal dust than others. How do I set up the fountain? Assemble the fountain and filter according to the instructions. Fill the bowl with water to the fill line. Watch your pet enjoy the fresh, flowing water! Keep the water level close to the fill line at all times to prolong the life of the pump. How often should I clean the fountain? We recommend cleaning your fountain once a month or more often if you see too much hair, dirt or debris in the bowl. Fountains are top-rack dishwasher safe except for the pump. What are the benefits of Drinkwell® fountains? What are the filters made of? These filters are similar to the ones used in fish tanks. They are safe to use with your pet's drinking water. The organic charcoal used in the filters is made of coconut shells. Which replacement filter should I use? You can browse for filters for your fountain in the store. Shop now. 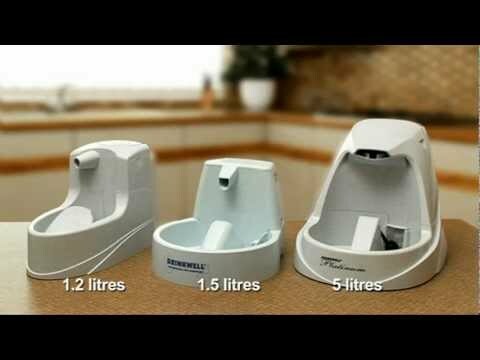 TV advertisement for Drinkwell® Pet Fountains, by PetSafe® Brand. 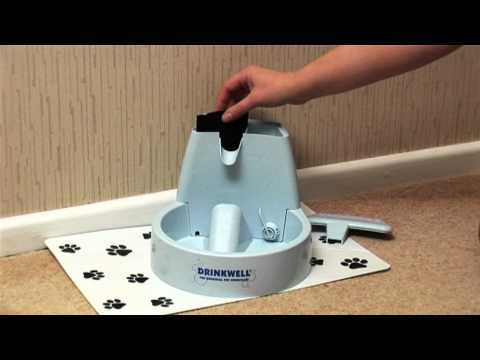 TV interviews outlining the key features and benefits of Drinkwell® Pet Fountains, by PetSafe® Brand.